The Book of Revelation can only be understood when studied through the Hebraic lens. We are into the exciting chapter of the Book of Revelation on events leading to the opening of the Seven Seal. 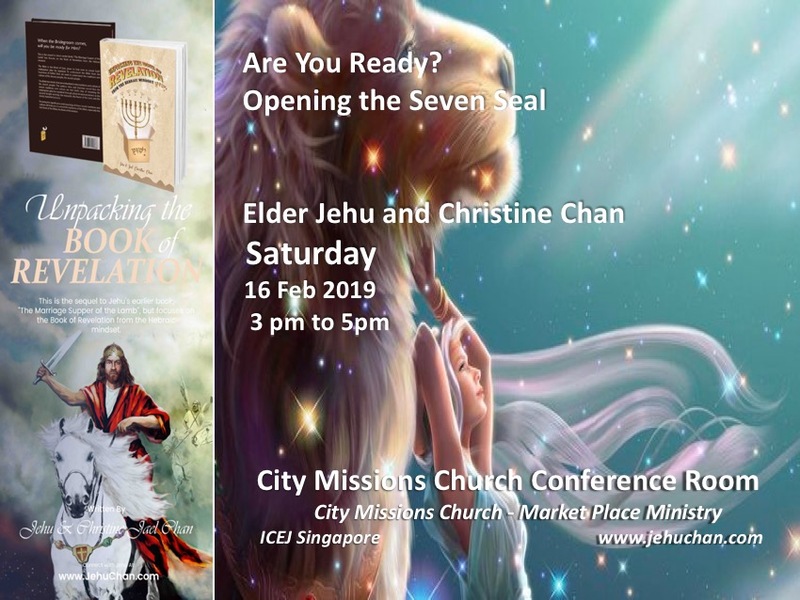 Do come to and join with us to study the Book of Revelation this coming Saturday 16th Feb 2019 from 3 pm to 5 pm. It will open your eyes to understand the Bible from Jewish traditions and culture. You can download the teaching slides for your personal further study.